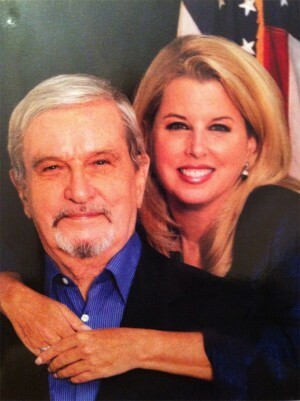 It’s with sadness that I pass on the news that television journalist Rita Cosby‘s father, Richard Cosby, has died of cancer, at age 86. When Rita was growing up, Richard – who was born Ryszard Kossobudzki in Poland – never talked about his wartime experience, avoiding the subject whenever Rita or her brother tried to bring it up. Years later, after the untimely death of Rita’s mother, she and her brother were going through a storage locker’s worth of old possessions and found a tattered old suitcase full of memorabilia that apppeared to be about her father. But the discovery only raised more questions. Rita finally sat her father down and pressed him to tell his story. What followed was a jaw-dropping account of his time as a teenager in the Polish resistance. It dawned on Rita that she was about to write the most dramatic story of her journalism career. “Quiet Hero” became a bestseller in 2010, bringing Ryszard Kossobudzki the recognition and admiration he had long deserved. The 4th of July is a time to appreciate freedom and what it means to be an American. On this holiday, some very sad news about one of the greatest patriots I’ve ever known. It’s taken me a few days to write something, as this is devastating news for my family. Last week, my dear father lost his final battle to cancer. As many of you are aware, my father, 86 year old Richard Cosby, was an incredible man – a former POW who escaped a Nazi camp in WWII, a seasoned marathon runner… and most importantly, a great dad and truly amazing human being. Please keep my family in your prayers as we mourn this huge and heartbreaking loss. I miss my father so much already. Thank you for your love and support. RIP, Richard Cosby. We salute you.